The expert working group of the Ministry of transport of the Russian Federation on pilot activities Mr egorkin spoke about the international practice of pilotage services and the provision of safe pilotage of the vessels with dangerous cargo. And also made a report on the regulation of pilotage activities in Russia. His speech, the expert began with the thesis of captain Bishop, in which top marine Manager INTERTANKO Conference EMPA 27 may 1999 clearly indicates that the response to attempts to liberalize the pilotage case, and to allow free competition in pilotage services – the safety of navigation will be compromised. "I was asked to explain what customers want from the pilots. It's a lot, but we know exactly what we want – a system that would create a threat to the safe entry of tankers in the port and exit from it. The consequences can be catastrophic. Therefore, you should make every effort to ensure 100% secure transactions at any time. This is exactly what we are required by our clients. Continuing professional development is today the most important duty in the world tanker carriers and cuts the necessary training is unacceptable. We must do everything to maintain the high standards of pilotage services. INTERTANKO also very happy to cooperate with EMPA. Salute your efforts to achieve the highest quality standards", - quoted the Bishop expert. The transformation of the organization system a pilot system in Russia in accordance with the strategic prospect of development of Northern sea route and increased traffic on water transport arteries said in his speech, the coordinator of the project "Marine policy" Center for strategic estimates and projections Anna Gornova. "In international practice the absolute priority of Maritime pilotage is the safety of navigation, as emphasized in the resolutions and recommendations of the International pilots Association (IMPA). In different countries pilotage is carried out by the state represented by the state pilotage service or on non-commercial principles, the so-called "Self Employеd Pilot". Pilotage dues are spent solely for the purpose of providing pilotage. At the time of the judgment of the constitutional court of the Russian Federation in 2004, a pilot complaint was not in Russia of private pilotage companies. Pilot activities at that time were paid by state or non-governmental organizations that belonged to the pilots. During the year no legislative regulation of the activities of non-governmental organizations in the execution of the decisions of the COP are not followed, the refinement of their organizational and legal forms, too. This benefited private entrepreneurs, and from 2005 began to create a private pilotage company. Until the end of the Decision the COP for 15 years and was not satisfied, and eventually during this period a significant part of the pilotage flowing out of the sphere of safety of navigation in favor of a few individuals small and medium businesses. The state, represented by the FSUE "Rosmorport" annually incurs losses estimated worth of the profits of the private owners (about 500 million), a pilot sector is not developed, and in the pockets of the private owners, not pilots annually irretrievably lost 3-6 good pilot boats, which are so lacking now in the pilot services. As a result, all these 15 years from-for absence in the legislation of non-profit principle pilot activities and determine the nature of pilotage as a target, we have some problems, losses and distortions. A pilot operation, one of the main components of Maritime security, is not licensed, there is no national standard of pilot organizations and never spelled out the requirements and criteria to them," said Anna Gornova. Disappointing statistics led Mr egorkin: "Having in its composition at least 1/3 of all pilots and working in 15 extremely lucrative ports 67, private pilotage companies get a little less than half of the total pilotage, bringing a large part of the funds received from pilot areas. On average in the last 5-10 years, the amount of the annual pilotage in the country is about 2.5 billion rubles. Public organizations receive slightly more than 1.5 billion, with about 650 pilots and performing pilot about 200,000 jobs. Private pilotage companies receive about $ 1 billion, with about 250 pilots, perform only about 50,000 pilot works. However, several private entrepreneurs (not pilots) that do not carry almost no risks and that the state guarantees a stable income out of a pilot sector and sphere of safety of navigation is about 500 million rubles annually in the form of informal income through the company "phony", various affiliates, and inflating the cost of pilotage in 2-7 times compared to the real, which is evident from the report of the FSUE "Rosmorport". Almost all private companies have their own fleet and operate in rented boats. Working less effectively, they captured the highly profitable ports and profitable part of the pilotage services, which could not be explained only by market competition. From the same pilotage, and paid kickbacks to agents for attraction of the best ships". During the discussion, participants noted that because of the failure within 15 years of the constitutional court's decision regarding legislative regulation of the activities of pilotage organizations formed a legal conflict. The principle of safety of navigation came into direct and obvious contradiction with the principle of profit. The activities of marine pilots and purpose of pilotage is regulated in the sixth Chapter of KTM, which runs the state enterprise FGUP Rosmorport, performing public functions and providing pilotage services to all vessels, without exception, in accordance with the priorities and objectives of the pilot service, accepted worldwide. Private pilotage companies are regulated we have a Civil code, in which there is no obligation for commercial companies to serve all in need of pilotage of the court, because the purpose of their activities is profit maximization. In such a situation of market fair competition, it is impossible to obtain in principle. Experts stated the fact that the private pilot companies there are no trade unions, which also is not in favor of the safety of navigation. The increase in the return of owners of private pilotage companies has been achieved through intensification of the labor of pilots, violations of the instructions regulating their work and rest, and break the helpless from the tyranny of the masters. The fatigue of pilots is often the underlying cause of many emergency incidents. Legal uncertainty creates an imbalance in a pilot sector in General and the lack of positive incentives for the development of professionalism directly from the pilots themselves. Anna Gornova drew attention to the paradox, when the discussion about how to effectively organize the activities of 900 sea pilots in the country has been ongoing for 20 years! Allowed using loopholes in the law field, opponents lobbied the law on SRO in the interests of 20-30 people owners of small and medium business in Maritime security, which has long been more than recouped all their investment, if not no money. While everyone knows that the mechanism of SRO shows itself in Russia is far from the best side. Understanding the reasons for what is happening today can be seen, the construction of SRO opens a loophole for organizations stevedoring, oil companies, ship-owners of their private pilotage companies and in the end we get a constant conflict of interests (including tariff) between pilotage companies, shipowners, stevedores, cargo owners, due to their different commercial interests in the market. "In this case, for ship owners it is more convenient to talk about tariffs with the state than with the Union of merchants, losing the in the direction of the navigation safety part of pilotage. It is logical that the state is not interested excessively increase pilotage dues, reducing the attractiveness of ports and industry Department controlling the public pilot service, can easily keep a balance between safety of navigation and the commercial attractiveness of ports", - said the coordinator of the project "Marine policy". 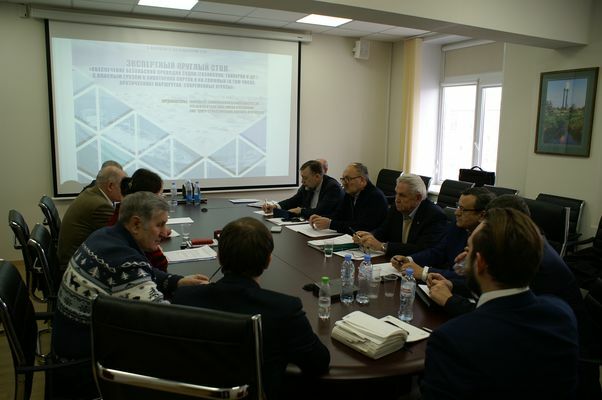 The participants of the "round table" discussed the draft law on the establishment of a pilot service in the form of a Federal Autonomous institution, (FAU), which will ensure the effective operation of about 900 sea pilots in all the ports 67 of the Russian Federation, including modeately Northern ports ensure a targeted use and transparent administration of pilotage. The V-model that is self-sufficient, predictable, reliable, in which there is no place for corruption. Tariff increases, despite some distortions, it is not required, and calculations indicate that even the amount of pilotage subject profitable enough ports to accommodate all divisions of the FAA, including enough to service modeately ports. The participants called for the speedy adoption of the prepared draft law on the creation in Russia of a unified state pilotage service. "The V - optimal organizational-legal form how to correct all the current flaws and contradictions and further development of the pilot sectors, taking into account geographical features of Russia, prospects for its marine activities and economic strategies. We are talking about the great Russia, the Arctic, the Far East, the Crimea, the Caspian sea, a variety of climate zones, which can not be compared with small European Union country where pilotage laws in countries such as Holland, Germany, France, Spain, England was written during the centuries. We must clearly focus on the fact that the Maritime economy today is China, Japan, Asia-Pacific, BRICS. In this case, the law should be as concise, clear, compact and direct action. Safety of navigation does not allow for different interpretations. With the adoption of the draft law, Russia will receive modern self-contained equipped with modern boats Pilot service at the level of advanced countries of the world," concluded Anna Gornova. About problems and prospects of development of the Northern sea route (at the end of the December meeting in the Government of the Russian Federation" of participants informed the head of the Center for Arctic studies of the Institute of Europe RAS, expert of the project "Marine policy" Valery Zhuravel. Then, the participants raised the issues of expansion of pilot functions in the field of transport security and complement them taking into account cyber threats. 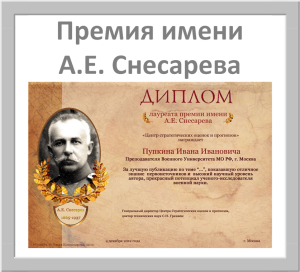 The speakers were the Deputy head of the civil "Engineering Technologies" Konstantin Merenkov. Currently, the faculty of complex safety TEK is developing a training program "information security of Maritime activities" for pilots and staff to ensure the safety of the vessel, together with GK "Engineering technology".